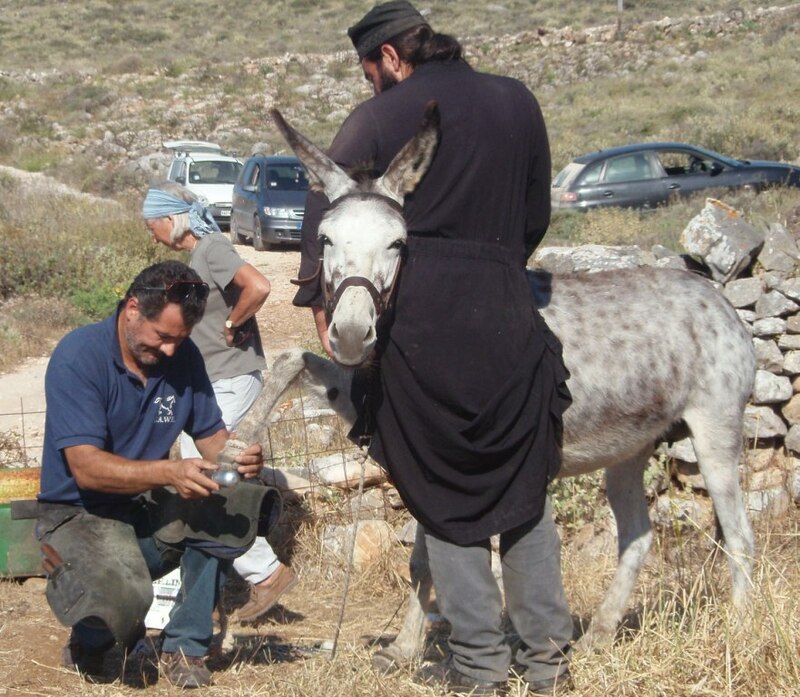 After Paola the mare, and Pepperina the donkey, two new friends have arrived at the Animal Shelter created by AZI in Amorgos: Mona, a mule who is over fifteen years old, and Ntaizy the donkey who is - top this! - 30 years old. At meal times Mona becomes a bit aggressive… she has not been fed properly for many years. Ntaizy, on the other hand is very calm and likes to be stroked by visitors and even rubs herself against them. Here you see the four them getting along quite well together and enjoing some peace after so much abuse. 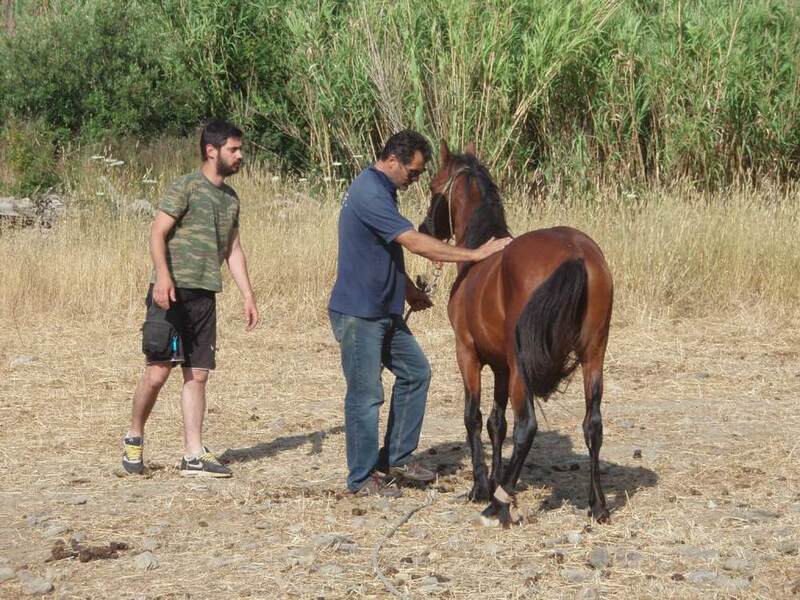 It is really wonderful to see animals re-acquire some trust in humans and humans learn how to respect them. All of them have been a great success, especially, with children, and most of all with Philozoiki founding member Vangelitza, who cannot keep away from them. As the family grows so do the needs to keep well foraged and clean… we need your help! Easter Sunday 2012. At the market fair held in the main square of Katapola, members of The Society for the Protection of Animal Life in Amorgos set up a booth to sell handmade candles and biscuits. It was the first money raising event organized by the society, and it was a sensational hit. None of the candles and biscuits went unsold. In photo number one Lamia, Simona, her daughter Lisa, Hariklia, Aggeliki, and Rania and Vangelitsa are seen making the candleware. In photo number three Gitwa, Lamia, Vangelitsa, Aggeliki and Simona enjoy a moment of well-deserved-after-sale relax . This type of fund-raising activity is a sure sign that the Philozoikiis no longer a fledgeling society of well meaning people, but a fully established reality that “means business.” Please join in the effort!